The Brennan N2405-SS series double-ferrule adapter fitting is made of stainless steel and has tube and NPT female connectors. 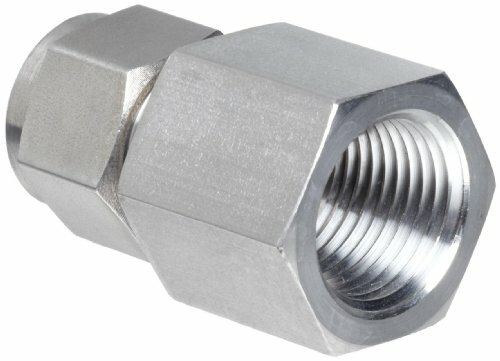 This adapter fitting connects pipes or fittings with different end types, diameters, or materials. It is a push-to-connect fitting that connects to pipes or tubing on one end and has a National Pipe Taper (NPT) female connector on the other. The fitting is made of stainless steel for resistance to scaling and corrosion. It has a double ferrule construction, reducing the possibility of leakage, and it meets International Organization for Standardization (ISO) 9001:2008 standards for quality assurance.